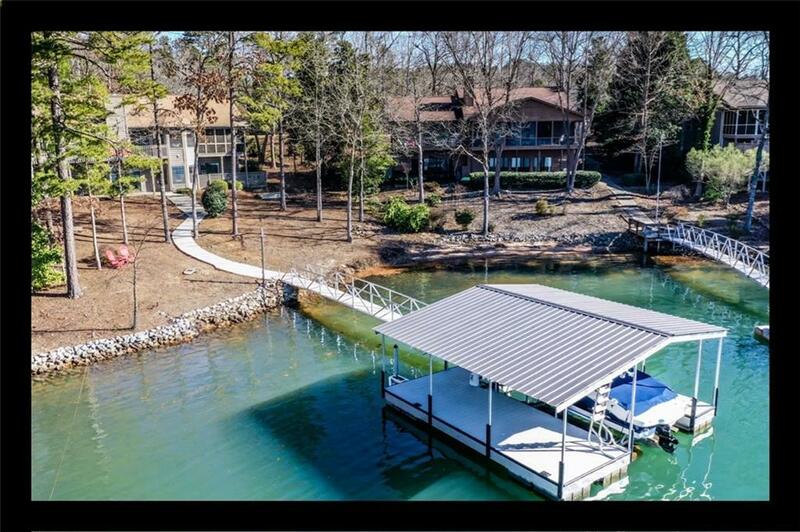 This is your opportunity to own a home in Keowee Key that offers a flat driveway and gentle walk to your refurbished, covered dock. The water is excellent as are the views dock and the beauty of the Lake Keowee blue-green water. The home features 3 bedrooms and 2 full baths on the main level including the Master bedroom. The screened porch opens directly from the Master bedroom through sliding glass doors and the breakfast room. The kitchen and breakfast room with its bay window is full of natural light as the home has a western orientation. All of the rooms in this home, with the exception of one bedroom, face Lake Keowee. The lower level has a light-filled recreation room as well as two bedrooms on each side of it. There is a 3rd full bathroom. The laundry room is on the main floor. This home is special because of the exceptional lot, location, and functionality of this home. There is ample storage in the unfinished, lower level as well as the garage. The owners are amenable to selling the home mostly furnished.